Not everyone appreciates the debut novel Tinkers by author Paul Harding. It's to be expected from a book that nobody wanted to publish. Although richly lyrical, it was hardly a book that could command sales. After sitting in a drawer for two or three years, Harding eventually found a buyer with the Bellevue Literary Press, best described as a nonprofit publisher as a project of the New York University School of Medicine. Even then, the print run and advance were hardly outstanding — 3,500 books and $1,000. The book went on to win the Pulitzer Prize, without a stitch of marketing beyond word of mouth and people so touched by the novel that they would pass it along to friends. Admittedly, it's an odd thing to pass along. The book is a story about death and its links to life. 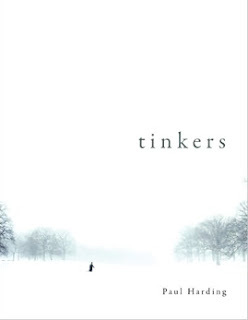 The story of Tinkers packs a literary punch for all its spareness. Tinkers is the story of George Washington Crosby, a man laying on a hospital bed in his New England home. His family stands near him, keeping vigil as his mind begins to slip and slide into a montage of memories and hallucinations that stretch and spin from one to the next as randomly as they were lived. The heartbreak of it all is laid out in the opening, eight days before he dies in the depth of hallucination as the house around begins to crumble and fall away, starting with the cracks in the ceiling plaster. It's there where he drifts in and out of cognition, unable to control any of it. For readers, it's a discovery of a man. For Crosby, it's a rediscovery of the man he was and the life he lived. He repaired clocks for a living after retirement as a machinist, mechanical draftsman, guidance counselor, and teacher. It's repairing clocks, however, that Crosby relates to the most. It was a hobby that turned into a profession, quite by accident, after he bought a broken clock at a tag sale. It came with a reprint of an eighteenth century repair manual for free. He fixed it. His own father was a salesman and a tinker too. Howard Crosby was epileptic, poetic, imperfect, and an under appreciated father, who would eventually become as disposable as the things he fixed, staving off their uselessness even if he could not save himself. The story touches on Harding's own. His grandfather grew up in rural Maine and had an epileptic father who abandoned the family after he learned his wife planned to send him to an asylum. Harding also apprenticed with his grandfather as a clock repairman before touring with Cold Water Flat. 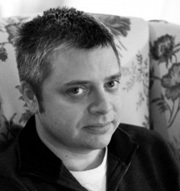 A note or two about Paul Harding, author and musician. Yes, before Tinkers would find its impossible journey from drawer warmer to Pulitzer, Harding was better known as the drummer of the too short-lived alternative band Cold Water Flat, which he formed with Paul Janovitz and Ted Silva. After releasing albums with Play It Again Sam and Fort Apache/MCA Records, they disbanded after failing to find a large enough fan base despite songs like Magnetic North Pole. Whereas Janovitz turned to photography, Harding turned to writing. Harding has said the experience of being a musician didn't necessarily play a role in book, but it did help shape his sense of rhythm. There are times you can feel it in the book, much like you can feel the gentle fingerprints of his teacher, Marilynne Robinson. Harding now teaches creative writing at Harvard. Why Tinkers often receives mixed reviews despite its unexpected successes. Harding doesn't deliver a straightforward plot in Tinkers. There is nothing to drive the character along in his reflection about life except the ticking clock. Instead he creates dramatic tension out of the character and the character's father. Likewise, despite his exquisite writing, Harding doesn't struggle to leave anything profound like a final statement to neatly tie up his reflections on life, death, and relationships. He leaves those lessons for readers to ferret out whatever meaning they will, much like they might after they lose someone. Except this story makes it safer and more tolerable because it happens at an arm's length. Both qualities tend to turn off many modern readers, especially those looking for the author to lay it all out. They want to be told what something means as effortlessly as a professor might list every question to expect on a multiple choice exam. But life is rarely so neat and tidy. Tinkers By Paul Harding Unwinds At 7.8 On The Liquid Hip Richter Scale. The book isn't nearly as heady as some people like to pretend. Consider it a good thing, as most authors who become heady tend to weave in too much of their own wit and perceived wisdom instead of leaving it to their characters to figure out, if they figure out anything at all. Likewise, Tinkers is not a philosophical self-help book. It's just a well-written story that happens to be a good one. Reading it, knowing this, might cast a different light on it and spare the book any more cankerous reviews. The time is better spent kicking Harding's argument against quotation marks. Tinkers by Paul Harding can be found at Barnes & Noble or you can order Tinkers from Amazon. It can be downloaded for iBooks or purchased as an audiobook on iTunes. The story is read by Christian Rummel at just the right pace and with the right emphasis in place. At just under five hours, the read reveals the natural rhythm of the writing and bypasses the odd no quote mark aesthetic rule.